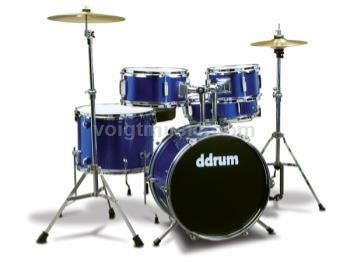 Ready to play complete junior drum kit includes: •Crash Ride Cymbal •Hi Hat Cymbals •Stands •Bass Drum & Hi Hat Pedals •Throne •Sticks For the aspiring percussionist, we offer the d1. A complete drum set, ready to play! Cymbals, throne and hardware all included. Available in midnight black and police blue. Get the musical journey started off right!